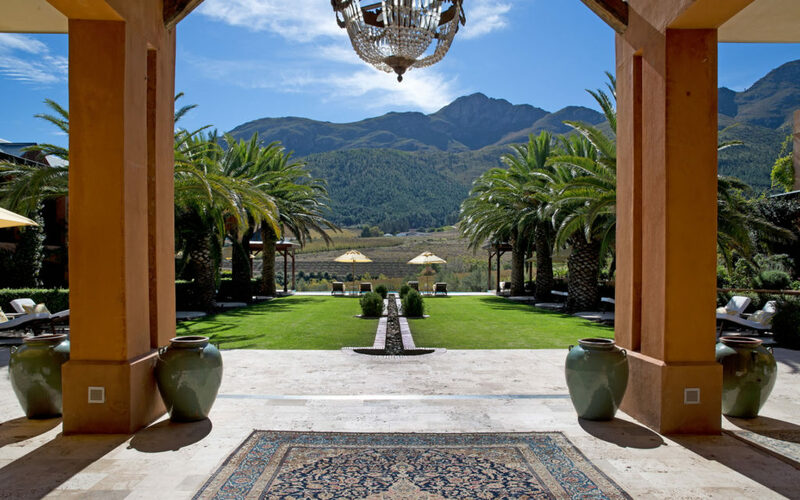 A few weeks ago the Iconic Africa Team were treated to an exquisite luncheon at La Residence in Franschhoek. An experience definitely worth re-visiting! Perched amongst the vineyards, on the slopes of the beautiful Franschhoek Mountains is this pinnacle of luxury and an unrivalled piece of heaven – La Residence. Voted Conde Nast’s No 1 Hotel in the World in 2013 amongst a myriad of other awards, La Residence is a must for any bucket list. The sprawling green lawns speckled with majestic springbok, the private dam complete with island, rowboat and soft flowing willow trees, instil an awe-inspiring sense of peace. La Residence opened its doors in 2008 and as a flagship property of the illustrious Biden family-owned Royal Portfolio, has been embracing and astounding guests with an unparalleled level of luxury ever since. Any meal at La Residence is a wonder to behold. Seated either under the tremendous terracotta arches overlooking the lawns, pool and mountain or in the classical dining room on a burgundy winged-back armchair you are in for a revelation. The menu is specifically crafted each day and so you will never have the same dish twice. Our choice of the day was the Croque Madame with a side of the Gorgonzola salad or the pan seared smoked salmon trout, both lovely light lunch options. Accompanied by a glass (or two) of the Graham Beck Brut – the very same Cap Classique that both Nelson Mandela and Barack Obama toasted with, on their inauguration dinners, you immediately feel like a celebrity! Top it off with a chocolate strawberry roulade with salted caramel and berry compote or an array of Franschhoek valley cheeses and you couldn’t be more content. After a long, lazy, luxurious lunch and maybe a little too much Cap Classique we were all ready for a much-needed afternoon nap! 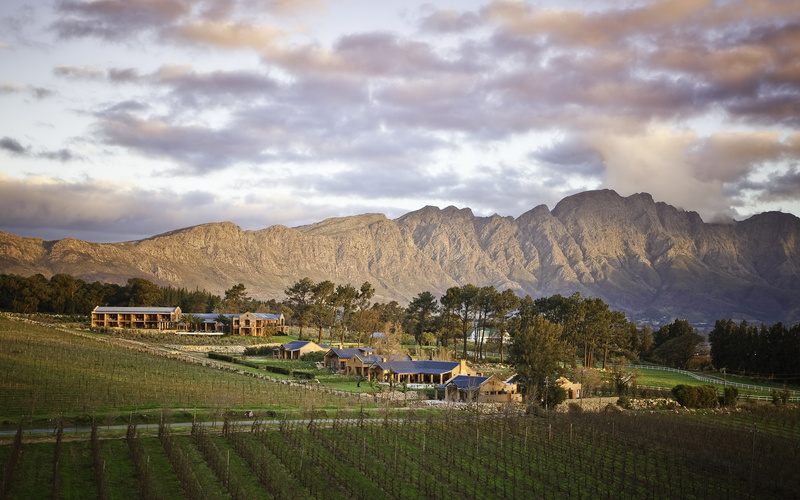 Whether you are a wine connoisseur, a mountain biker or a food enthusiast the Franschhoek Valley is for you and if it is the ultimate in luxury and homeliness that you desire, La Residence couldn’t be more perfect.